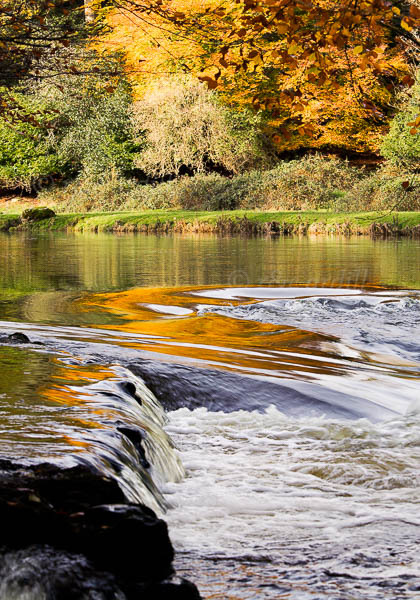 Photo of: This photograph is of a particularly beautiful weir on the Boyne between Navan and Stachallan. There are wonderful beech, oak, ash and other native trees on the banks of the river. The reflection here is of a great beech tree in Autumn. This is a wildlife paradise.